Illustration is the universal communicator. When you visit a new country, beyond the language barrier comes the illustrated visual cues – toilet symbol, hotel symbol, branded areas and so on. 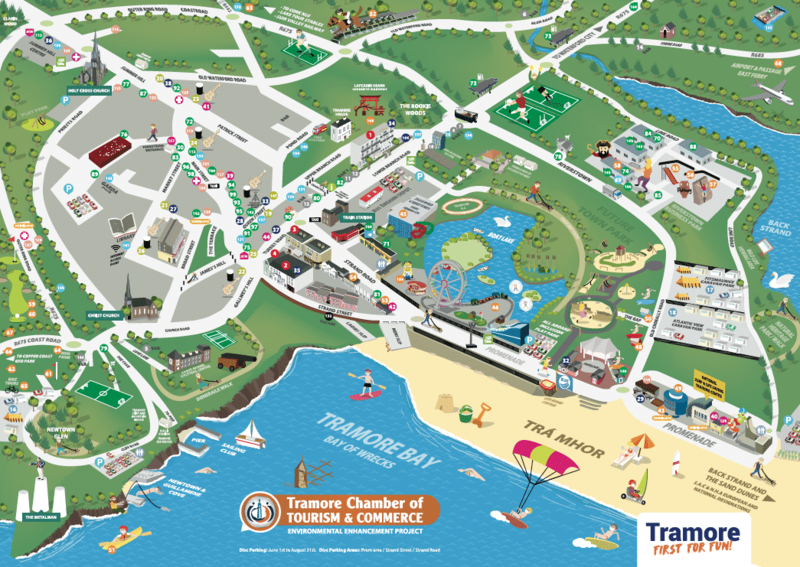 Illustrated maps provide the same visual cues to tourists when visiting a new area. If they can’t speak the language, then the icons and the places on the map guide the way. 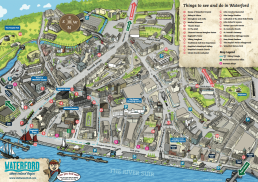 Why invest in an illustrated map? Normal OS maps, which are to-scale and very rigid just don’t convey a personal touch of your attraction. 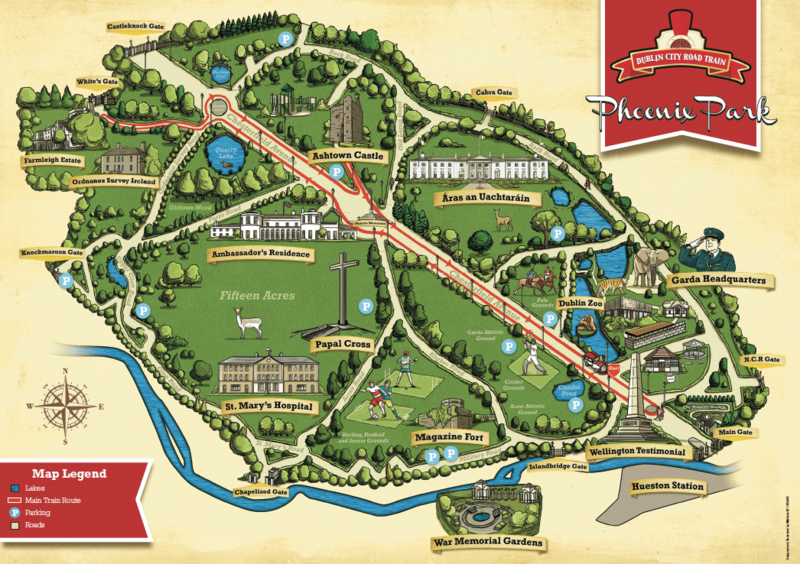 When you have a bespoke illustrated map, the area comes alive and looks ten fold more inviting.  At Márla Communications, we specialise in the design and illustration of high quality, bespoke illustrated maps. 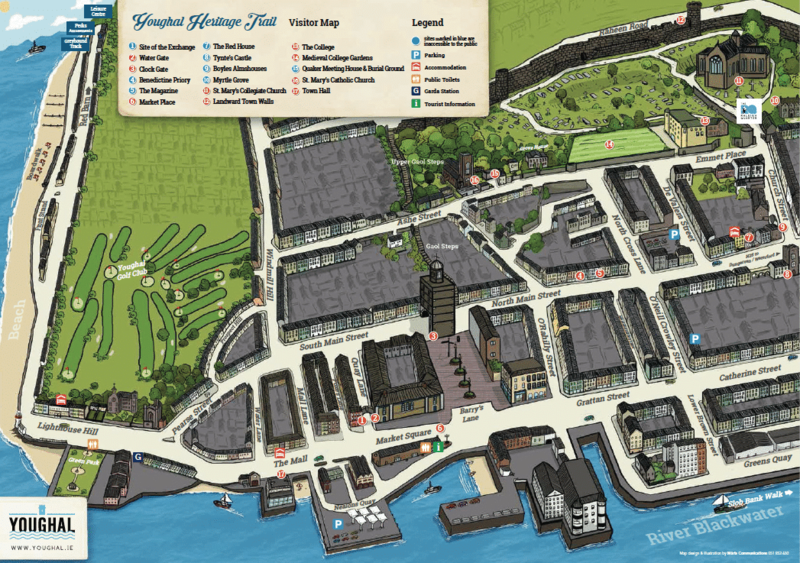 Our maps combine high end illustration and visually stimulating layouts. 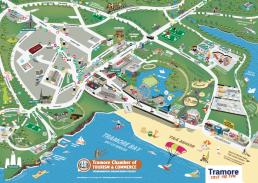 We develop interactive maps that create a superior user experience, thus ensuring your county and all its amenities are firmly on the tourist map! 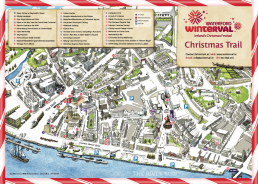 Lets take for instance the Waterford City map we developed back in 2010. This map was an artistic licence based hand drawn piece. It created a fun and exciting visual experience for tourists and also became a keepsake when acquired. We’d often see tourists around the town with the map in their hands, examining the areas of interest. Seeing first hand interaction is always a joy. 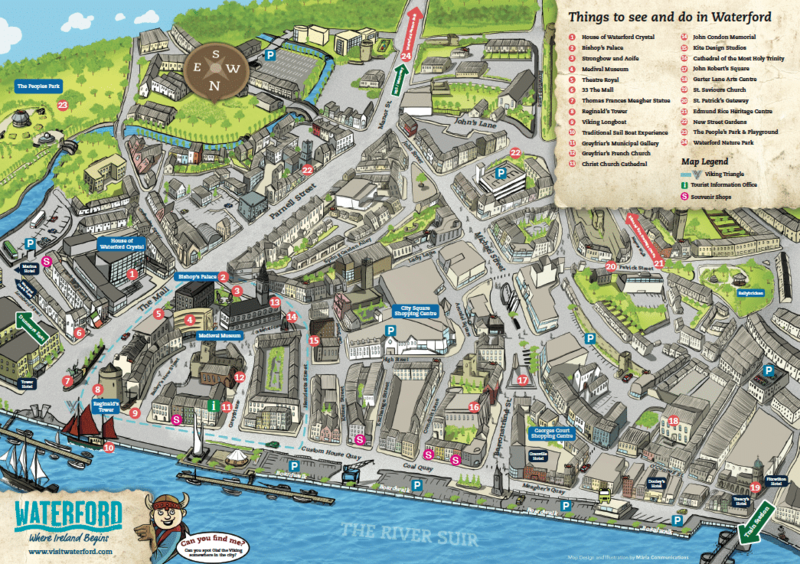 The Waterford City map has been reproduced hundreds of thousands of times since and we have been updating it each year. In 2015 we added the Waterford county illustrated map to the reverse of the existing map. 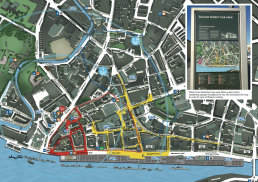 Investing in an illustrated map will create a highly valued and notable pice for your attraction, city or walkway. Today, having just a printed map isn’t enough. 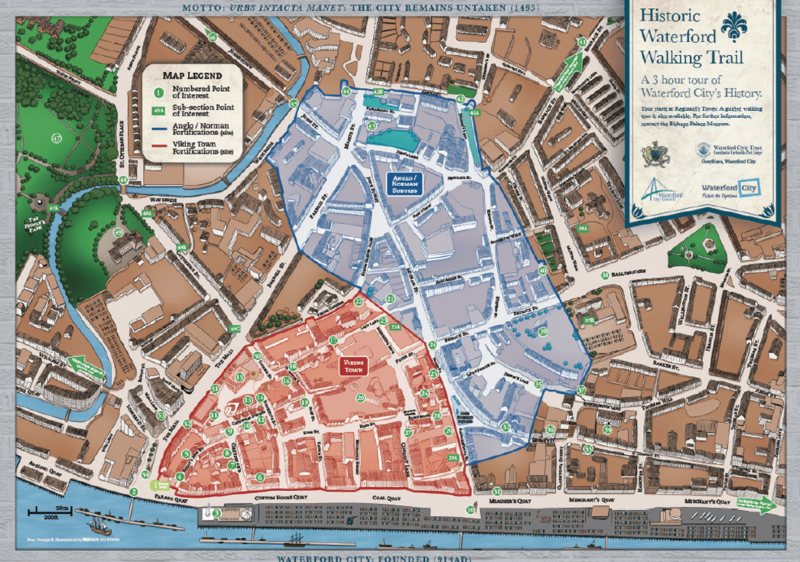 With the advent of mobile technology and interactive sources, animating a map is the next step. At Márla, we can also add animation and interactivity to your map which really does expand the map. We use the latest HTML5 based software to create animations that work on all mobile and desktop devices. What better way to showcase your attraction before the potential client reaches it?! 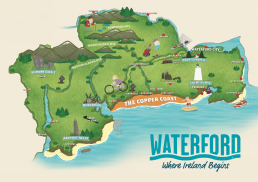 Illustrated maps appeal to young and old, because of their ease of use and fun appearance. Users are drawn towards illustrated maps and often keep them as souvenirs. Our maps are designed for ease of use and have intuitive legends. We also keep all files on record so your map can be updated when needed. 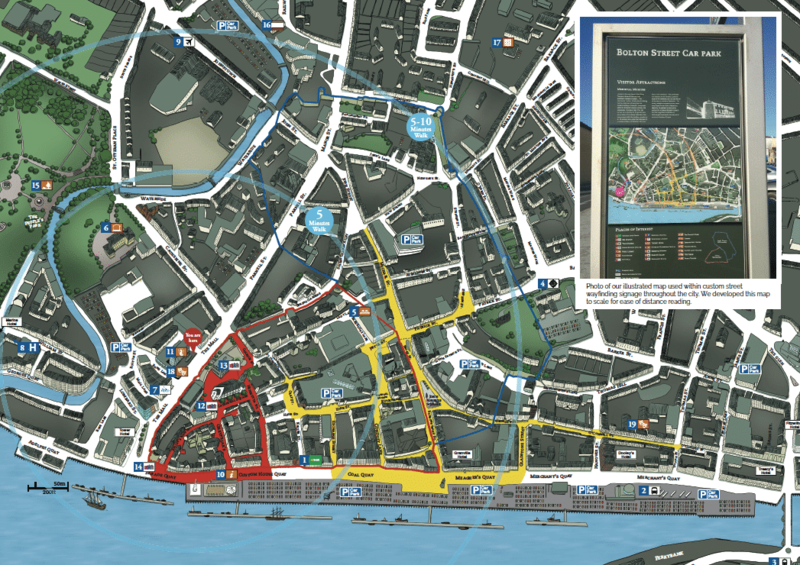 As a result of the custom nature of these maps, we can make your locations point of difference look vibrant! 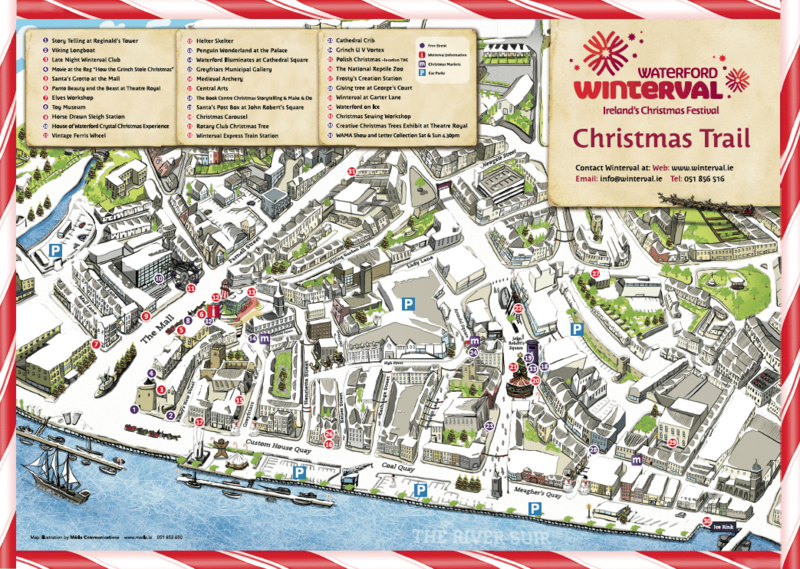 High colour, or fun illustrations can bring an area or attraction to life. Our maps don’t just stop at paper! We have the power internally to create video presentations of your map or even interactive and animated versions. Even if your town is relatively small with not too many points of interest, we can use “artistic license” to enhance the visibility and scale of your area to its maximum potential! Making your city, town, attraction, trail or walkway stand out is important. 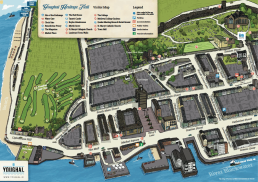 A bespoke map will give your location a unique and positive appearance that other areas will aspire to duplicate! How do I get started with an illustrated map project? 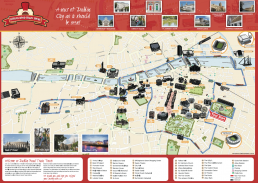 We have developed numerous illustrated maps over the years for City Councils, Town Councils and Tourism Bodies. 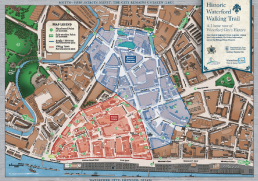 Many of these maps have been reproduced in multiple editions and thousands of times! 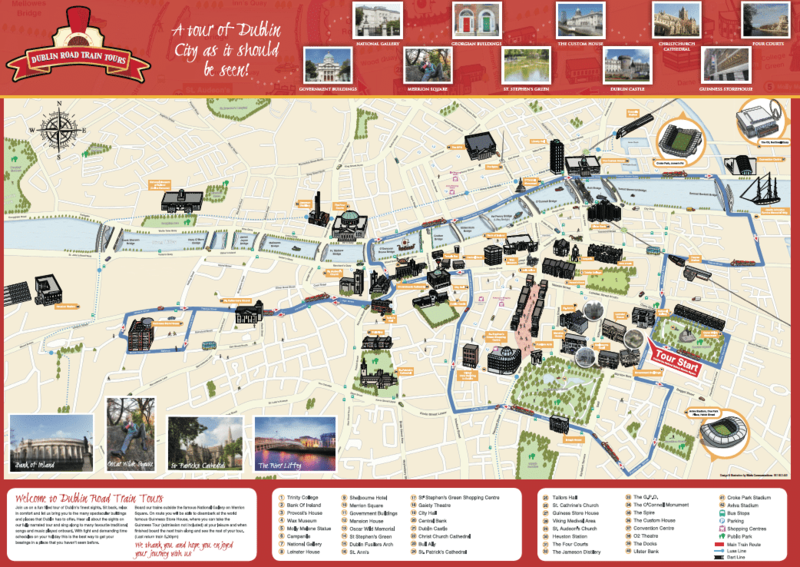 Call us today on 051 853650 and see how we can add value to your area with a bespoke illustrated map or email lee.grace@marla.ie. 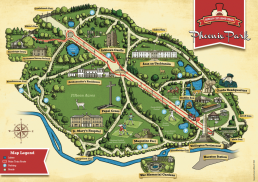 Visit our map section on our website here!